Follow the Estate Envy Ainigmata Ostraka from the western shore of Mykonos to a lavish house overlooking the southern beach. 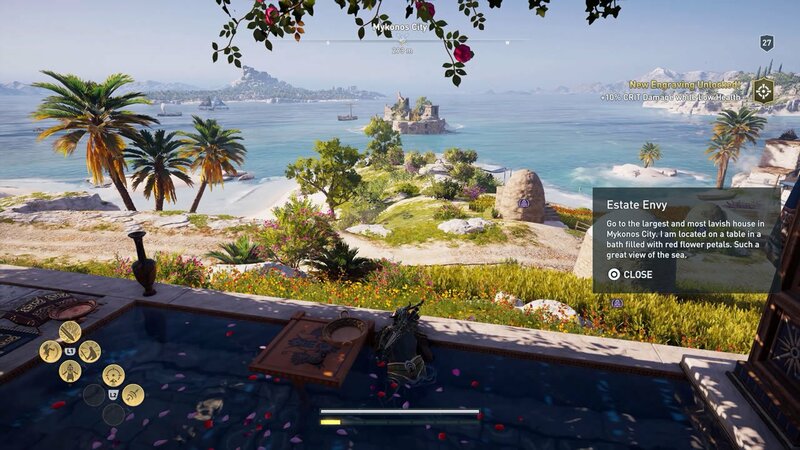 Assassin's Creed Odyssey players looking to bolster their offensive capabilities will be interested in tracking down each and every engraving, and one of the best ways to collect them all is to find and complete various Ainigmata Ostraka treasure hunts. The Estate Envy Ainigmata Ostraka tablet can be found near the western shore of Tavern Point, and its hidden reward can be found not too far away on the southern end of the island. By now the procedure for handling Ainigmata Ostraka mini-quests should be familiar to players: head over to the in-game inventory, then read the Estate Envy tablet to learn more about the reward's hidden location. "Go to the largest and most lavish house in Mykonos City. I am located on a table in a bath filled with red flower petals. Such a great view of the sea." 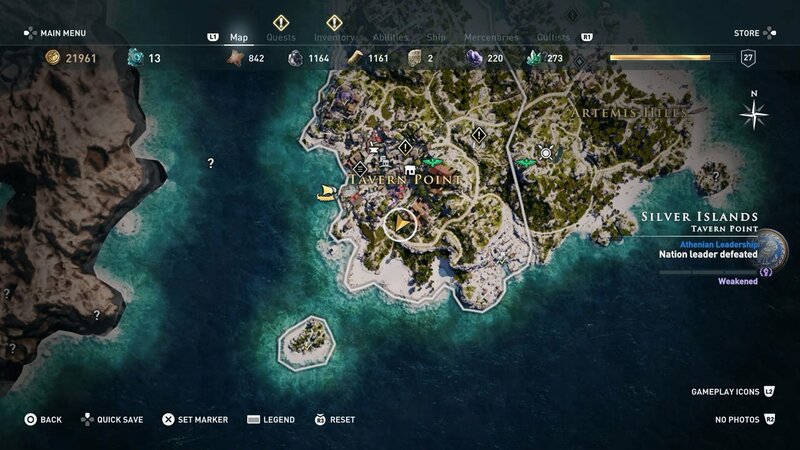 The clue phrase is referencing a house that can be found near the southern shore of Mykonos in the Silver Islands, almost due south of the Tavern Point text within the in-game map. The house in question is the one with the elaborate bathhouse just beneath an ivy-covered pergola. In one of the baths overlooking the beach, players will find a table with a serving dish; approach it can use the Interact button to claim the reward: an engraving that adds 10% Critical damage while low on health. With the Estate Envy Ainigmata Ostraka riddle solved and its hidden treasure obtained, players are free to move on to the rest of the game's numerous treasure hunts. 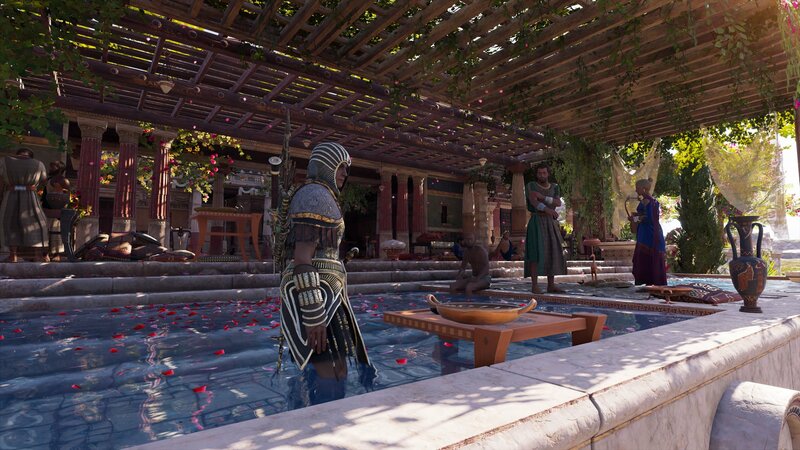 To learn more about the others, or brush up on other game mechanics, boss strategies, or miscellaneous trivia, be sure to stop by our Assassin's Creed Odyssey walkthrough and guide.